Narva began its metal halide activity in the late 1960s, with arc tube technology based on that being developed simultaneously at Tesla in what was then Czechoslovakia. 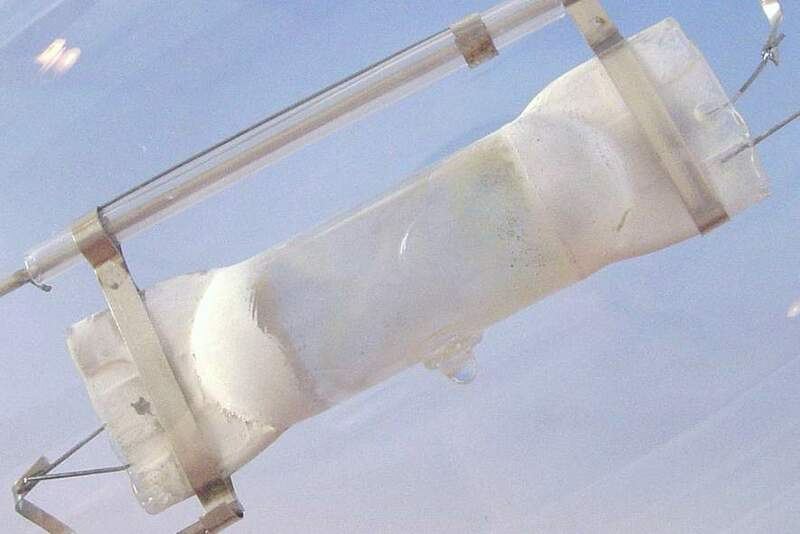 Its earliest arc tubes were fabricated from three quartz pieces . In the late 1970s the simpler arc tube design shown here was adopted, consisting of just a pinched arc tube as found in the high pressure mercury lamp. Heat reflective coatings of sprayed aluminium oxide are employed to raise the cold spot temperature behind the electrodes, increasing the halide vapour pressure to achieve good colour rendering. 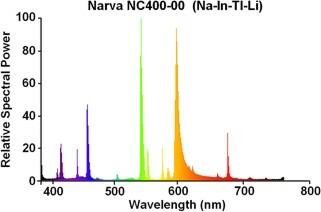 The arc tube chemistry throughout the Narva range is based on the sodium-indium-thallium system with the addition of lithium iodide. Lithium is a valuable constituent in terms of decreasing the colour temperature and improving the red colour rendering index. 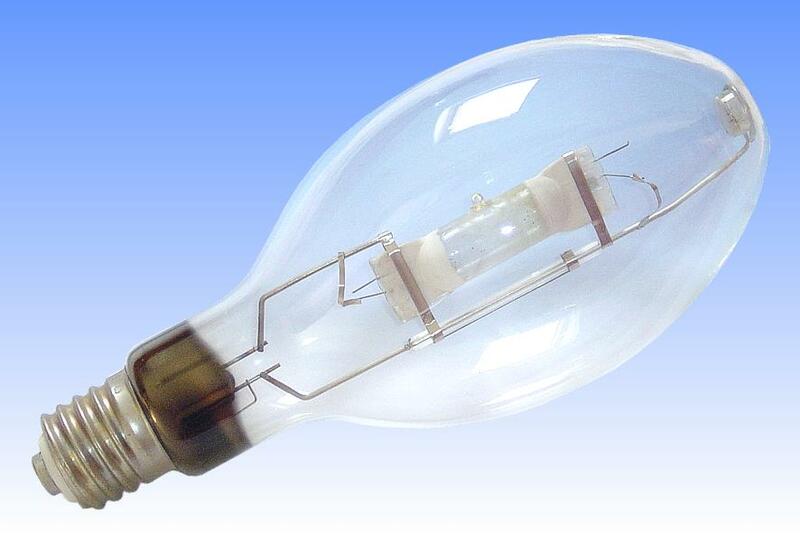 However it is well known for accelerating devitrification of the quartz arc tube and limiting lamp life. This is one of the reasons why a relatively low lamp lifetime of just 4000 hours is all that was ever claimed by Narva for this type of lamp. Lithium was subsequently removed for this reason. It has only been used successfully in products such as the Thorn EMI Marks & Spencer lamp. 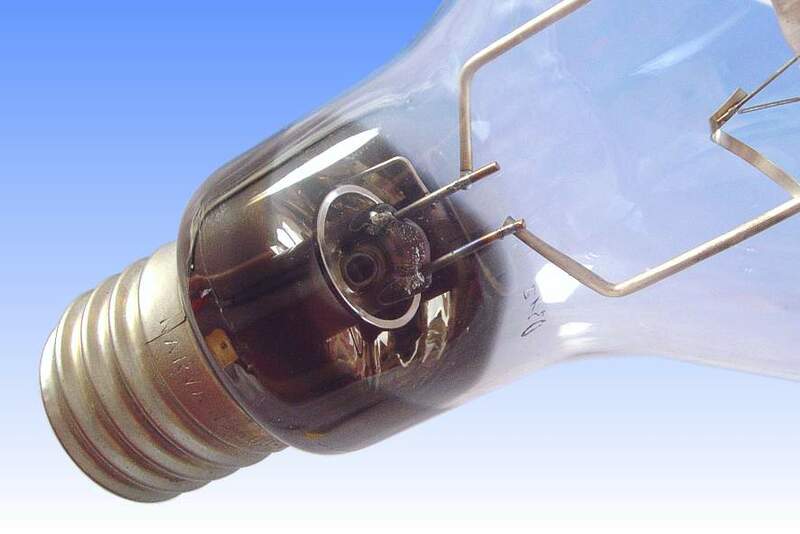 A sleeve of quartz around the side frame in this lamp serves to limit the photoelectric effect and the rate of sodium loss. A small nickel strip is crimped around this tube, and connected by a wire running over the outside of the quartz tube to the electrode at the opposite end. This works as a starting aid, to increase the electric field at this end of the arc tube. 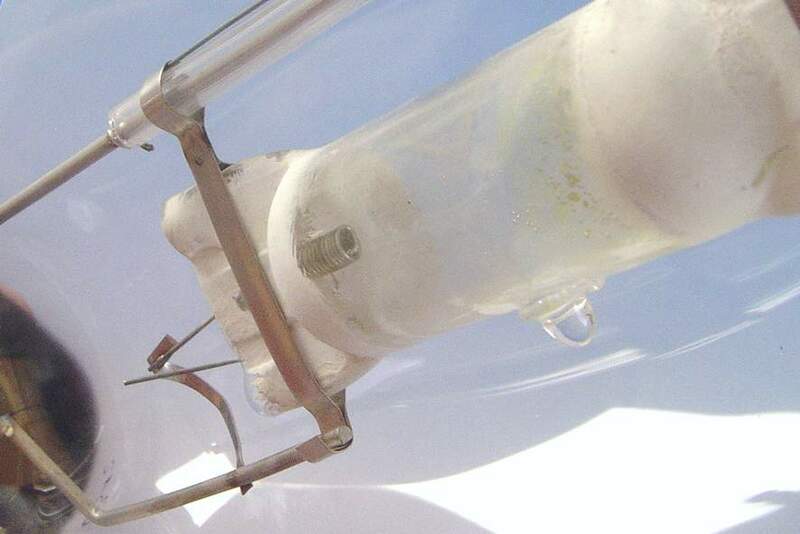 The wire running alongside the quartz insulator is placed so as to shield it from the arc tube's output, and thus limit the photoelectric effect and subsequent sodium loss.